Set in the wooded countryside of the Brandywine Valley and the former private residence of the duPont family, Brantwyn Estate in Wilmington, DE, is a truly impressive wedding venue. The Georgian style brick estate house offers elegant ambiance and numerous well appointed rooms to suit a variety of reception decor ideas. Outside, the expertly manicured gardens provide an inspiring setting for an outdoor wedding ceremony, cocktail hour, or reception. 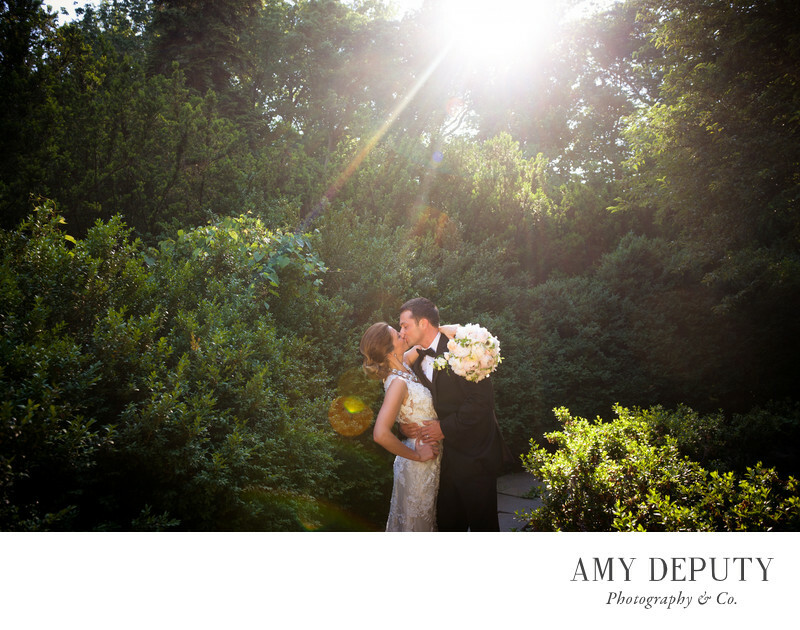 The lush grounds are my personal favorite settings for portraits of newly married couples and their families. The light provides natural warmth and surrounding greenery an air of pastoral romance, with the gardens all abloom in the spring and summer and awash in autumn hues in the fall. Brantywn Estate is a lovely and luxurious yet peaceful wedding venue, perfect for couples getting married in Wilmington, Delaware and the nearby Philadelphia region, as well. Location: Brantwyn Estate: 600 Rockland Rd, Wilmington, DE 19803.